Finnish winters are long, cold and dark. 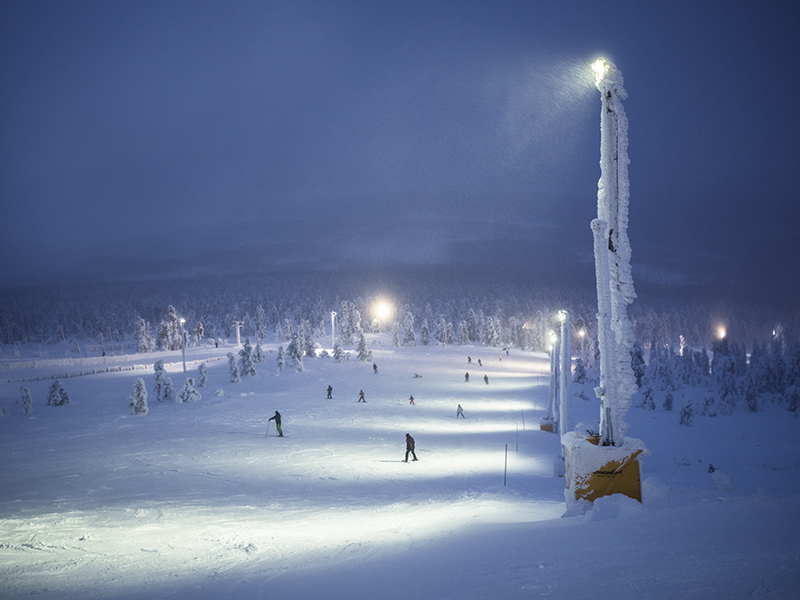 Levi Ski Resort in the Northern Finland does not suffer from the dark, though, since the slopes are lit by Winled's PRO-luminaires. "When it comes to skiing slopes, effective lighting is the starting point for safe rides. 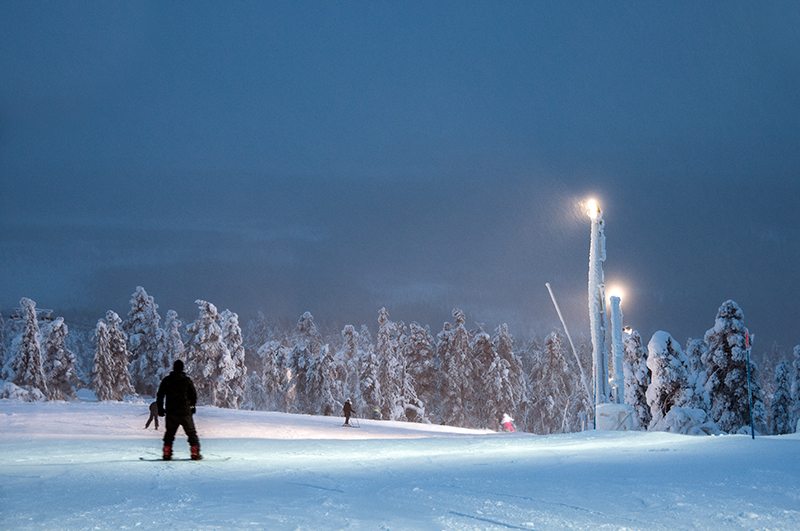 The snow-white shapes of the slopes are notably easier to recognize when the slopes are lit by using LEDs", states Winled's lighting designer Jere Kangasmäki. One of the main challenges a slope sets for lighting design is the width: how to place the luminaires on the sides of the slopes so that the lighting stays constant. The fixtures used should be effective and the illumination angle wide enough so that there is enough light from the top of the post all the way to the ground. 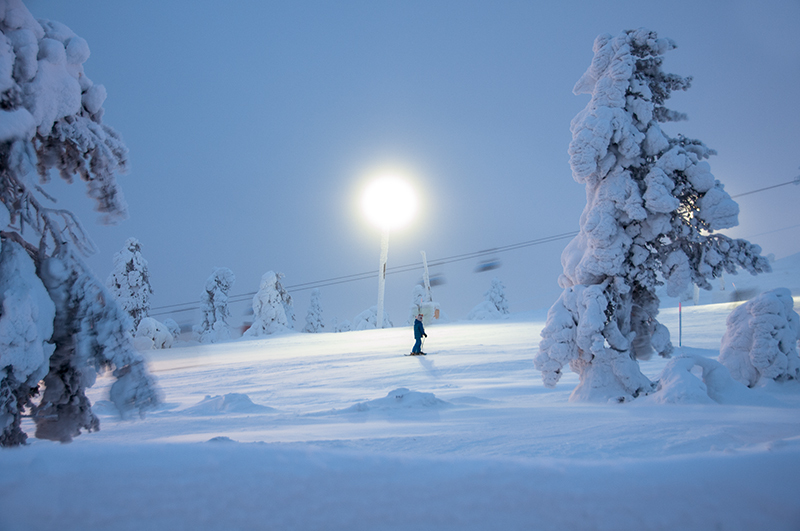 "The standards for the lighting depends on the purpose of the slope: for example, FIS has its own guidance for the slopes used for competing", notes Kangasmäki. 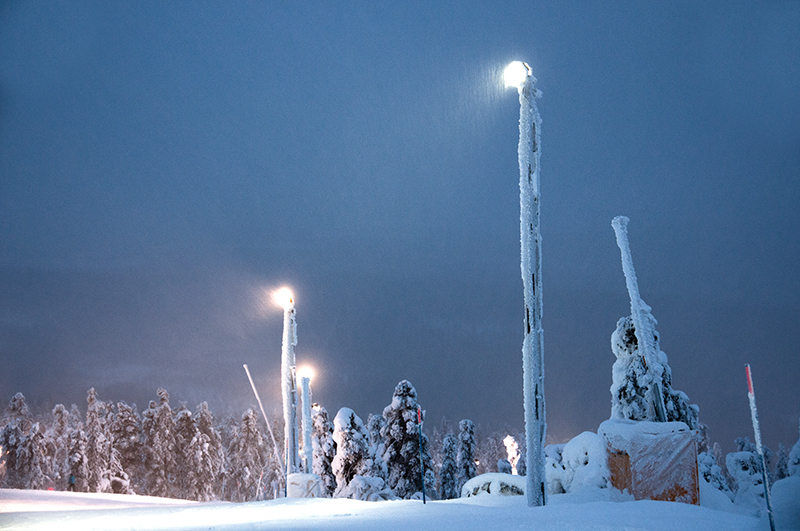 When Levi Zero Point ski rental renewed its lighting, the Levi Head of Electricity, Kari Laitinen, decided to take Winled's PRO LED luminaires into testing. It is a perfect fixture for arctic conditions, due to its IP66-classification, long durability and the care-free usage. The old luminaires were hard to change and maintain, so LEDs brought a welcomed change. Not even the crown snow-load that used to be a huge problem imposes any threat to the usage of PRO. Even though the surface of the LEDs does not turn hot, the heat generated is still enough to take care of the crown snow-load. So, all in all, no matter how arctic the conditions are, Winled has a lighting solution that endures changing weather, freezing temperatures, dust and snow. For over three years now, PRO has been a perfect example of this.